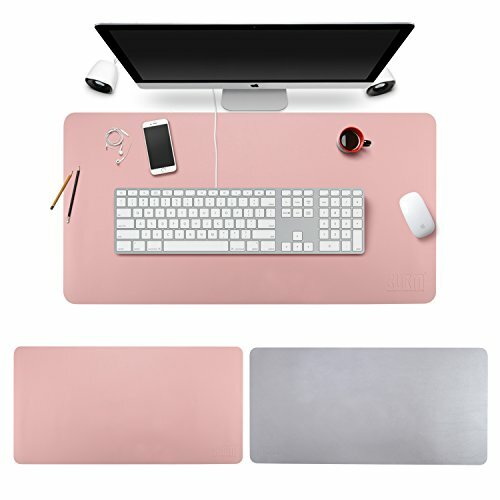 Desk Pad Mouse Pad/Mat - BUBM Large Gaming Mouse Pad Desktop Pad Protector PU Leather Laptop pad for Office and Home,Waterproof and Smooth,2 Year Warranty(35.4'' 17.7'', Pink+Silver) by BUBM at Transparent University. MPN: Pink+SILVER-L. Hurry! Limited time offer. Offer valid only while supplies last.